A local gas station recently got into a bit of hot water when a gas spill seeped into the nearby Crow Branch Creek. This was an accident that police, fire and town officials responded to very quickly. By all accounts the cleanup went well but there is still a chance for some fines to pay for all that manpower. The N.C. Department of Environment and Natural Resources has been testing the waters for contamination and won’t make a final statement until all those results are in. Still, it could be a hefty fine for this family run pit stop. What is the biggest fine you’ve ever been slapped with? If you’re lucky it was just an occasional parking ticket. On the other hand, if you were ever sited by the county for violations around your property those could end up being some serious fines. Usually, it will be your neighbors who lodge complaints with the town about cleaning up the junk in your yards. They can’t really complain about what might be inside your home but the appearance on the outside impacts everyone in the neighborhood especially when it comes to assessing property values. If you happen to have junk issues then you need to hire Junk King Raleigh to clear them up. 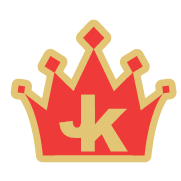 Junk King are the pros in the Raleigh / Durham area when it comes to junk removal. They’ll make sure everything you want tossed out will be loaded up and sent off to the proper disposal site. All you have to focus on is what you want tossed out. Think about all the things you can’t lift by yourself. Those are perfect items to give to Junk King. Of course, you won’t need to do any lifting, not even to lend a hand. The JK crew does it all! Not only can Junk King clean up your yards of debris but they can also go down into your basement or up in your attic to get to your junk. If you’re on a bit of a time crunch, don’t worry. Junk King Raleigh won’t keep you waiting. They usually ask for a two-hour window for a pickup. That’s a lot better than the cable company. There have been many customers who called Junk King in the morning and had their clutter cleared out by dinnertime. Not every junk removal job is the same but what is the same will be how you’ll be charge. You’ll be provided with an estimate based on the amount of space your junk will take up on the truck. That’s an estimate that’s not going to change after the job is finished. When it comes to junk removal in the Durham or Raleigh araes, Junk King is the most trusted crew in the business. This entry was posted in Durham Junk Removal, Junk King Raleigh, Raleigh Junk Hauling and tagged Durham NC Junk Removal, Junk King Raleigh on August 30, 2013 by Britt Holcomb. Last updated August 1, 2017 .